Max Power: 100W. Antenna Length: 80cm. 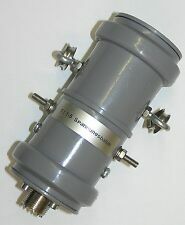 Antenna Weight: 215g. Band: Dual Band 144/430MHz. If item is defective after 3 months, you can still send it back to us. We will send you a new one after receiving the defective item. SP-S TRUNK MOUNT - INOX STEEL. Frequency: 430MHz. 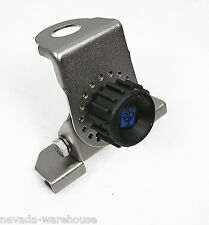 Gain: 2.15dB (430MHZ). 13cm/ 5.12" (Folding), 41cm/ 16.14" (Unfolding). Connector Type: SMA-F (Female). If item is defective after 3 months, you can still send it back to us. We will send you a new one after receiving the defective item. Tornado "Long". Whip Length: 1530mm. GR-S GUTTER MOUNT - INOX STEEL. Midland STINGER/Tornado BLUE FINISH. Tornado "Long". Whip Length: 1530mm. Colour - BLUE. 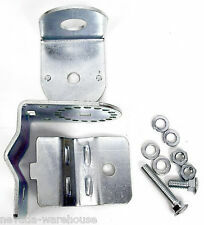 Adjustable flat bar mirror mount kit with cable assembly and fitted PL259 type plug. Midland Mini Tornado - BLACK. Your CB transceiver requires an antenna specifically made for CB operation. Mini Tornado. Whip Length: 840mm. Of course, using a 6m tall base antenna on a moving vehicle is far from practical! Midland STINGER/Tornado RED FINISH. Tornado "Long". Whip Length: 1530mm. Frequency Coverage: 27MHz. Midland Mini Tornado - BLUE. Your CB transceiver requires an antenna specifically made for CB operation. Mini Tornado. Whip Length: 840mm. Of course, using a 6m tall base antenna on a moving vehicle is far from practical! Midland STINGER/Tornado YELLO FINISH. Colour - YELLO. Tornado "Long". Whip Length: 1530mm. Midland Mini Tornado - YELLO. Colour - YELLO. Your CB transceiver requires an antenna specifically made for CB operation. Mini Tornado. Whip Length: 840mm. Of course, using a 6m tall base antenna on a moving vehicle is far from practical! Midland STINGER/Tornado GREEN FINISH. Tornado "Long". Whip Length: 1530mm. Colour - GREEN. 1:1,5 UnUn - Breitbandtransformator. Maximale Leistung ca. 100 Watt. Kermaterial FT140 - 43. REFERENCIA BRIELCO BD6662. CON PALOMILLA. 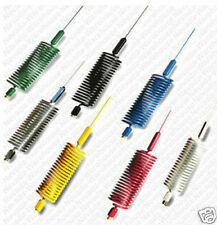 Conector: PL259. 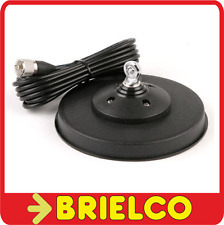 BASE MAGNETICA 140MM DE ANTENA CB. Rango de frecuencia: 26 - 460MHz. La herramienta gratuita para publicar anuncios. ANTENA HY GAIND 3 BAND CUBICAL ACERO. ESTADOS UNIDOS.ESTA EN ALMERIA. ANTENA HY GAIND 3 BAND CUBICAL ACERO. El estado es Nuevo. NUNCA SE USÓ NI SE INSTALÓ. LA FOTO DEL ANUNCIO ES DE OTRA ANTENA SIMILAR YA INSTALADA. TIENE TODAS LAS PIEZAS SIN DESEMBALAR. FABRICADA EN LOS EEUU.